Situational awareness: The Securities and Exchange Commission has settled charges against professional boxer Floyd Mayweather Jr. and music producer DJ Khaled for failing to disclose payments they received for promoting investments in initial coin offerings. Mayweather will pay more than $600,000 in fees. Khaled will pay more than $150,000. "While pursuing the White House, Donald Trump was also pursuing personal business deals with a foreign adversary that, according to Mueller’s earlier indictments, engaged in a multifaceted, complex, expensive, and long-running criminal conspiracy to help deliver Trump to the presidency." 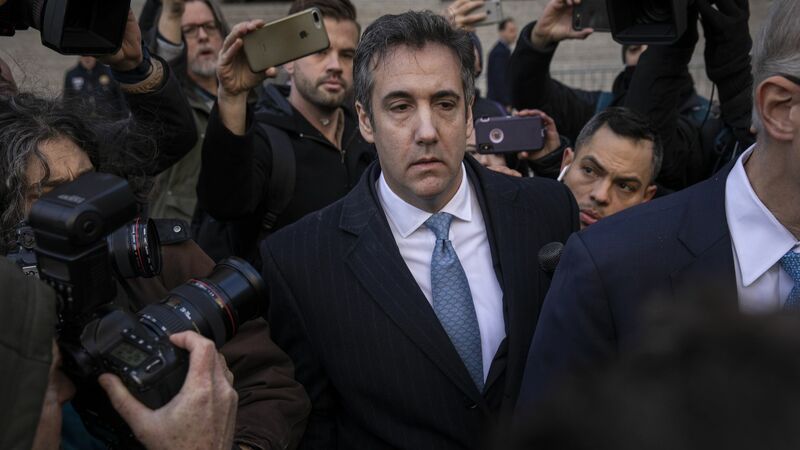 Between the lines: The former Trump lawyer reportedly said in court that his three lies were out of loyalty to the president, per NBC News' Tom Winter. 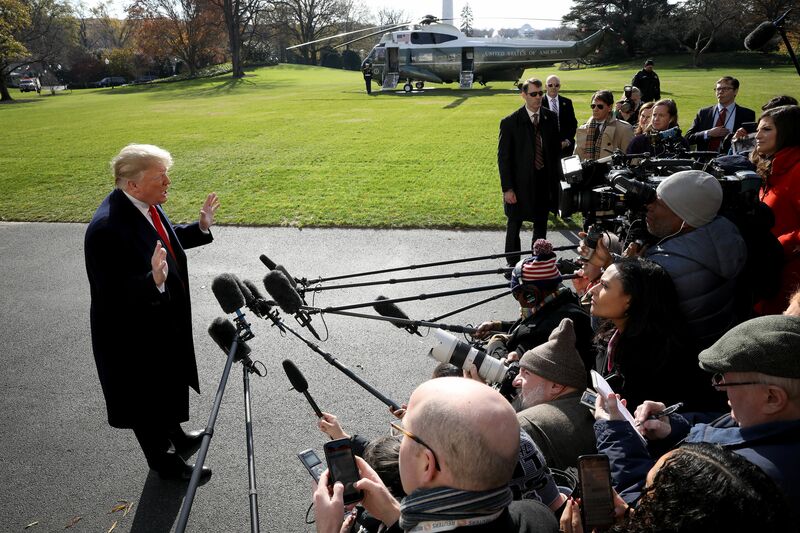 President Trump answers questions from the press while departing the White House for South America. GM says company president Dan Ammann will become CEO of Cruise, its self-driving unit. This is a concrete example of how GM sees self-driving as central to its future. Go deeper. Millennial-focused content site Mic has laid off most of its staff amid a rumored acquisition by Bustle Digital Group that was reportedly for less than $5 million. Go deeper. Farm Bill deal: After months of negotiations, legislators have finally reached an agreement in principle on the $400 billion farm bill that jeopardizes benefits and subsidies for farmers across the country if not passed by the end of the year, the Washington Post reports. California Democratic Party chair Eric Bauman resigned today after being accused of multiple instances of sexual misconduct, which prompted Gov.-elect Gavin Newsom to urge him to step down. Go deeper. P.S. Today's Axios Pro Rata podcast focused on gene editing of embryos and the prospect of "designer babies," based on recent claims by a controversial Chinese scientist. Go deeper.